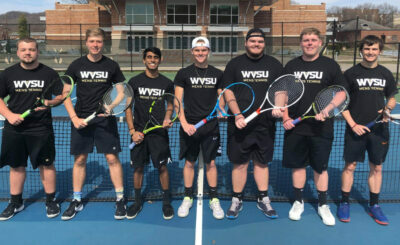 The Yellow Jackets women’s tennis team won a hard fought match over Slippery Rock 4-3 Saturday, before knocking off UVA-Wise 6-1 Sunday on senior day. 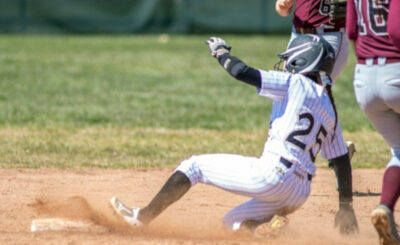 Kierstin Hensley and Nika Tadic each rallied from a set down to lead State past Slippery Rock 4-3 on Saturday. The Yellow Jackets took the opening doubles point after Laura Isbey and Kierstin Hensley won #1 doubles by a score of 6-3 and Sydney Miller and Hanna Kruglova won at #3 doubles also by a score of 6-3. Isbey continued her dominant season, winning 6-1, 6-0 at #1 singles, giving State their only straight set win for the day, pushing the Yellow Jacket lead to 2-0. Slippery Rock tied it at two matches apiece after Kruglovaand Kayla McKnight dropped their matches in straight sets. Hensley, Nika Tadic, and Chante Malo each dropped their first sets, before taking their second sets. Hensley dropped her first set in a tiebreaker, but cruised in the second and third sets winning 6-7, 6-2, 6-0 at #2 singles, pushing State ahead 3-2. Malo dropped a hard fought match at #5 singles, losing 6-7, 7-5, 5-7 knotting the score up at 3-3 leaving it all on Tadicat #6 singles. After losing her first set 6-4, Tadic rallied to take the second set 6-3, leaving the match in the balance of the third set. After breaking her opponent several times Tadic served at 5-2 for the win. Her opponent fought off two match points to force a deuce point. Tadic would clinch the match after hitting a serve that was too good for her opponent winning the third set 6-2, and clinching the 4-3 win for State. Assistant Coach Jake Lorenz was impressed with the grit and determination exhibited by State during the match. 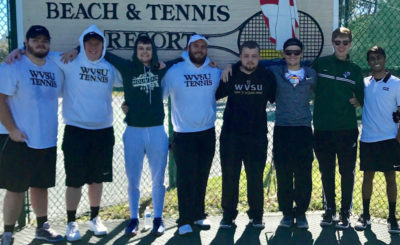 State had a short turnaround before the Yellow Jackets faced UVA-Wise the next morning on senior day, which the Yellow Jackets would win 6-1. Prior to the match seniors Laura Isbey and Kayla McKnight were honored for their contributions to the Yellow Jacket women’s tennis dynasty. The doubles pairings of Isbey and Kierstin Hensley, McKnight and Chante Malo, and Grazi Pretterotto and Nika Tadic swept UVA-Wise in doubles to get the match started. 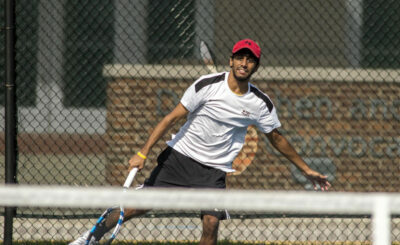 Hensley scored a convincing win at #2 sinlges, winning 6-2, 6-0. Kruglova outlasted her opponent at #3 singles in a tight first set winning 7-5, before closing the match out 6-1 in the second set. 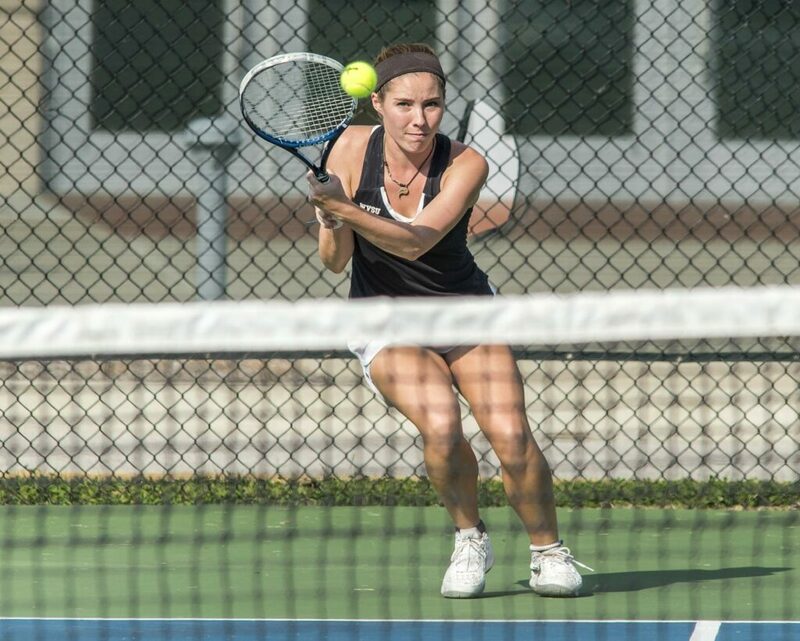 Malo and McKnight each won in straight sets at the fourth and fifth position, and Sydney Miller won 8-0 at #6 singles. UVA-Wise scored their lone point of the day when Isbeydropped her match at #1 singles.